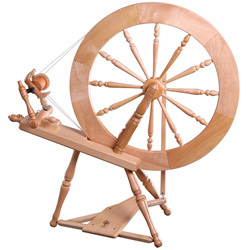 Spinzilla is a 'spin as much as you can in a week' competition. 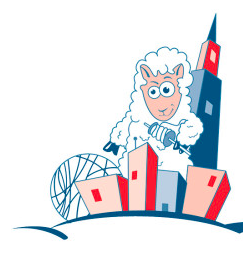 Spinners can spin in teams of up to 25 or spin 'rogue'. There are prizes for creative spinning spot, photos of yarn and team photos, and of course for the most yardage. 2015 was its third year. The first year was only open to Canada and the US. Last year it was open to spinners worldwide but no UK team formed. This year I sponsored the event (as Hand Spinning News) and formed the first and only UK team. There's no selection criteria for joining a team, it's first come, first served when spinner registration opens on 1 September. Team Hand Spinning News UK filled up in a couple of days. Remarkable as some teams were being merged to make up numbers close to the start of the event. I was also pleased that we were a mixed gender team, our 25 spinners included three chaps. We were the chattiest team by a long margin too, the thread set up on the Spinzilla Ravelry forum filled up with 2,500 posts by the end of the spinning. So even though we were a 'virtual' team, spread around the UK, we were able to share thoughts, have a laugh and enjoy some important human contact during the marathon. Spinning as much as you can for seven days is a tough physical challenge, though I couldn't help thinking that what was a fun but challenging week for us was a way of life for people in the past. I began the week with a worsted draw. One of my targets was to spin the yarn I needed for Ardelise, 1200yds. 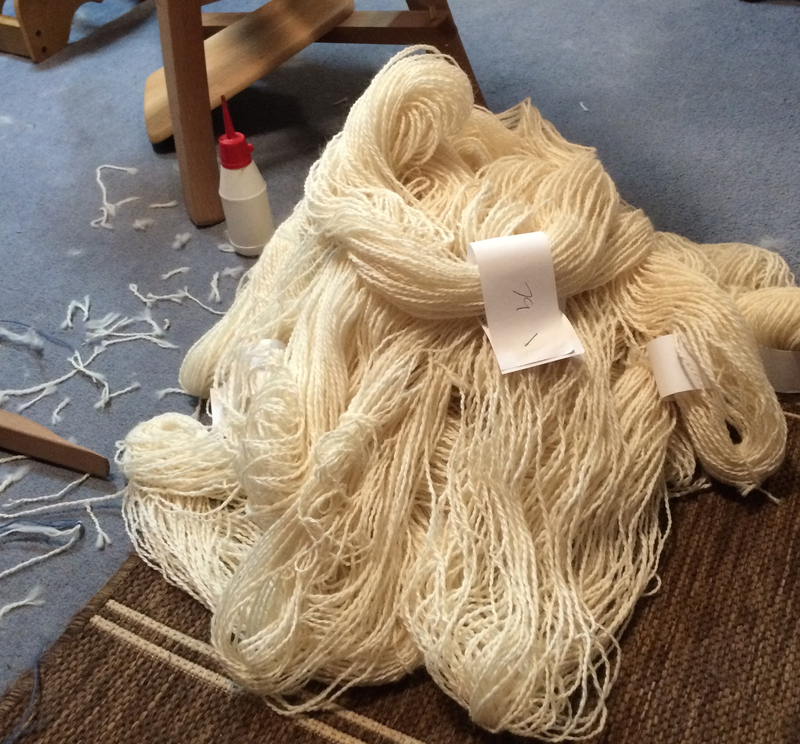 This required a sport-weight yarn and I'd made a successful sample using a parallel draw. It gave a very smooth, lustrous and even result but still bloomed into a squishy yarn after washing. We were lucky to have been provided with a large amount of combed shetland top by Martin Curtis of Curtis Wool Direct, this was quick and easy to work with and gave a great result. There's no doubt that longdraw is the fastest way to spin. With the 'cardy' yarn spun and switching to longdraw I'm sure that my rate increased. One way to keep the interest level up is variety. At babylonglegs' suggestion some of us did 'Fun Friday Spinning'. 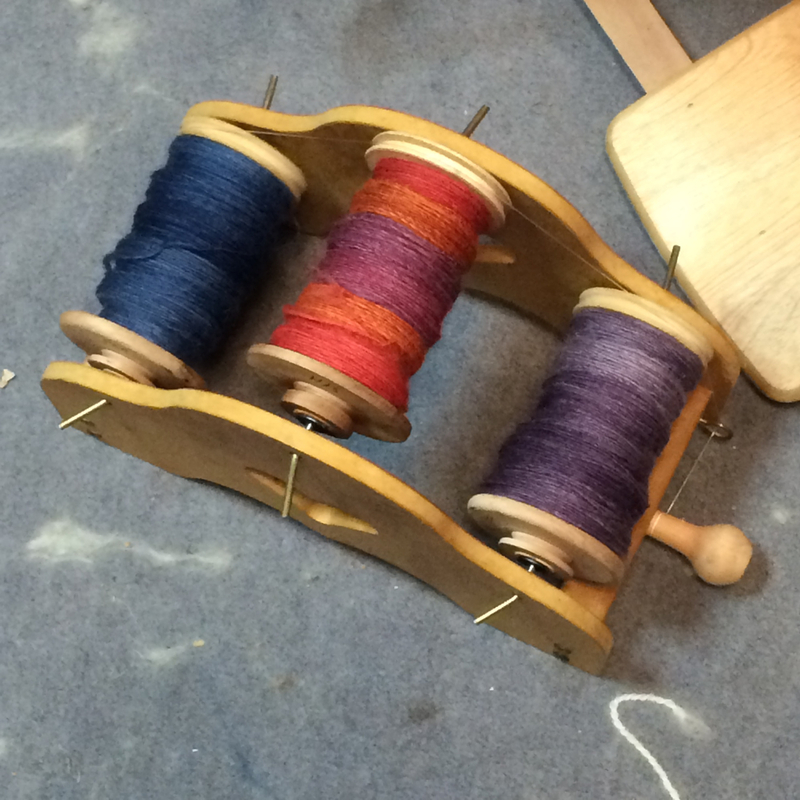 I dug out of my stash these colours, dyed by picperfic and designed to be spun separately and 3-plied together. My own total was 7646 yards. These were 'Spinzilla yards' counting all singles spun and adding some plying credit too. This makes 4.34 miles, well exceeding my target. Other team members beat their targets too. The average yardage per spinner in our team was 5853 or 3.3 miles. The total yardage for our team was 146,336 yards or 83.15 miles. Since writing the above, the places have been announced. Team Hand Spinning News UK came 7th! We're all delighted!